Today I bring to you the Official Android ADB (USB Support) Drivers Download Link for all android phone and Devices. I didn’t miss any popular brand or even the newest android phone manufacturer in this comprehensive list. For some reasons you might need connect your android phone, tab and/or phablet to a computer. Without proper ADB drivers you can’t do any advance stuff on it from the PC other than normal file transfer. ADB drivers is what enables you to root, recover data, backup files, sync and several other advance stuff on any android devices. ADB (Android Debug Bridge) Drivers could as well be regarded as USB support driver for android phone and devices. You must enable USB Debugging on your phone/device for it to be recognized on PC after installing proper ADB drivers. You can enable USB debugging on any android phone or devices by going to ==>Settings ==> Applications ==> Development ==> USB debugging (for older Operating systems (OS)). Settings ==>Developer options ==> “USB debugging” (for newer operating Systems (OS)). In this section, I’ll be sharing with you, the official download link for ADB drivers and USB support suite for Android phones, phablets, tablets and android-powered PDA(s). Once the correct driver is properly installed, you will able to use Android tools and utility software such as 1click root apps and Moborobo Android PC suit that lets you manage all types of android devices from your computer. If your device manufacturer isn’t listed above, it means that there isn’t any official resource repository for your current phone manufacture, hence a need for an all_in_one solution. This universal solutions will enable you to install ADB and Fastboot drivers to have full USB support for any phone or device. Just follow any of the links below to download a universal android USB driver for your phone. This section would come in very handy for stubborn devices or phones with a highly modified system. Use this only when the other recommended solution fails to drive your android device. Select the Update Driver Software option and pick the option to search automatically for updated driver. If after the automatic search, you aren’t still successful with the ADB interface install, leave your phone still connected to the PC and install the driver easy software (free edition). return back to the Update Driver Software window and then select the Browse my computer for driver software option and complete by locating the folder where the ADB driver content is extracted to. Tell us about the device manufacture and model using the reply button below. This post was updated to solve some concerns regarding automated solutions for driving hardware and devices. Some other useful software and app/tools for installing Android ADB drivers automatically were also highlighted. It does. You can even drive it with a free copy of AnyTrans device manager. There’s a giveaway exercise going on for it, you can pick it up from this URL. or what problem are you having installing the drivers? 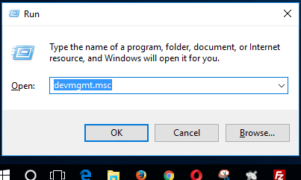 Turn on “USB DEBUG” on your device ==> connect to the pc and press => windows logo+R ==> devmgmt.msc => hit enter and locate the device ==> try windows update and report back to us. Hi I have a Telecom t4010, is there anything I can do to root my phone? You can try Vroot to see how successful it turns out to be. You haven’t mentioned what we’ll do once we downloaded the driver suited for our phone. Where do I put the Zip file? You can unzip it (the driver package of your phone) into any blank folder in your c:/ directory. Then press Window logo + R buttons on your keyboard ==> enter devmgmt.msc and hit enter ==> Locate your device (usually marked with the yellow triangular warning sign) from there ==> right click on it and select Update ==> hit next and select the folder you’ve unzipped the drivers into as the source and continue. Hurray! Your device drivers is now properly installed and ready to work with any PC suit or device manager of choice. driver for acer iconia b1-711??? Have you tried any of the universal android ADB drivers installer? You may wanna try http://pdanet.co/a/ , Moborobo Mobile PC Suit , mobogenie as they will install your ADB drivers effortlessly. Let me get your feedback as regards to this at your earliest convenience. I’v Nokia xl but can’t install Google play store in my phone.i’v followed most YouTube videos and most people and also purchased most mony i’v tired but can’t install in my phone Google play store.I also downloaded framaroot app of most version likely 1.9.0,1.9.1…etc.when I have installed it it error..#7 What its mean.I have not succeed yet So please sir solve my problem. What firmware version is your device currently on? I can’t start writing instruction all over again. Kindly visit our other post on how to root Nokia X android devices and check out this link for how to install Google play store and others. Do you still need help with this or did any of the universal adb drivers installer work for you? Is any of these drivers applicable for Micromax canvas HD plus a190. ?? are there any drivers for Allview P6 Life? Wanna root my Mtech Phone and wanna do crazy things with rooted device…please help to root my phone. Thanks! What operating system is that? Hi Miracle, thanks for the support you are rendering. I downloaded ‘PdaNetA4170.exe’ from this site “http://pdanet.co/a/” but while installing the ADB driver for my Tecno Phone D9 on my Laptop (with OS Windows 8.1, 64bit), the installer requested that I connect the phone thru USB cable, which I did but gave an error that ‘Handshake process with the phone failed’. Please also note that the primary purpose for this is to be able to browse and download with my tecno phone using my Laptop internet connection or access. Hmm bro, you need not do all that just to tether the internet connection of your PC. Just download the connectify software from http://connectify.me/ or search for older versions from 4shared.com. I tried all methods from everywhere But unable to root my device. Any Suggestion? Have you had success with this yet? Hi Obasi, i used kingo,master,universal,king,root genius,z4 root,v root,i root all types of root but not working on my android 4.1.2 samsung galaxy note, kernal version 3.0.31-1133407,model number shv-e160k. I have no pc so please tell me how can i stall root without pc. Please sir help me. have you tried the latest iRoot apk from http://www.mgyun.com/m/en ? What’s your firmware version please? But if the phone is locked you can’t use this method. Universal driver requires you to have access to the phone and its settings. Hi, I’m new to this… I have a Samsung Young model and a Mac and am looking to root it in order to use it with a phone chip from different mobile companies since I travel a LOT and split my time between two different countries. Thank you for this page and all the help you have given to me so far and all the others. Thanks for dropping by and your kind words. Is there a thing you’ll like me to help you with? Hi Obasi, thank you! Well, yes, I’m wondering what app I should download to safely root my Samsung Young via my mac in order to free it (use a chip from any company). I appreciate your help, and if you are too busy, I totally understand. I have an Alcatel fierce, just the first one and my big problems is my laptop is a Google lab top and not widows so I’m having a lot of trouble be coming a superuser.. I keep geting stupid Trojans from bogus one click root crap… Anybody? My OT fierce is from T-Mobile. Have you tried using the iRoot apk? I have my dell venue 7 3730 I can’t download drivers please help me..
What specific issue are you having when trying to download the drivers? Hello I have a nokia x2 and adb cant detect it any help? hold windows logo button+r and enter devmgmt.msc while the device is still connected and USB debugging mode turned on. I’m having great difficulties finding drivers for Vodafone 785. Win 8 seems not to be friendly with drivers…. You can disable “driver verification (signed drivers only option)” for a moment and try again with one of the Universal Android ADB (USB) support drivers referenced here. Hi , Thanks for your help. I’m using MiPad and the issue with adb drivers was solved by your post. Now i’m able to debug apps directly from android studio in my mi pad. Hi, I am new to this and don’t really know what to do. I have a STE ZMax modle running on a kitkat 4.4.4 what do I use? Hey do you have adb drivers for a verssed motion e1? Have you tried of of the universal adb or android usb drivers auto-installers? hello i dont know the device driver the phone model is SM-N9006 please give me the link to this model driver. But then, the universal adb drivers referenced in this article works flawlessly with Xiaomi devices. Usb drivers for Colorfly G 808 3g? Can’t find any customer support online. Help! Hi I am using panasonic t41 model phone and now I want it to connect with android studio in my laptop.I heard i need some type of driver.I dint get anywhere.Any help for me ? What error message do you normally get while trying to load the device drivers? my phone is lenovo a6000 plus and i am try to root the phone and continue the rooting process but the rooting process have been failed any other software are try and continue to root but not rooting the phone …..please help me…..
please help me how to root my samsung galaxy j3 (J320F) i have tried to root with kingroot , kingo root and odin 3 but it can’t be rooted. please help me to solve the problems. I have done all of the above and still can’t get my infinix zero 3, model X552 to be recognised on my PC, windows 7.
u got the know how’s 4 sky platinum 5.0? know how’s 4 sky platinum 5.0? can you provide the ADB driver for the beelink mini mxiii ii android tv box? Have you tried any of the Universal ADB drivers installer without success? hi, ADB does not detect my Android. My Windows 8 detects my Android devices, no problem. When i plug in the device, a folder window opens in Windows 8, pointing to the device storage. Device manager shows the devices without any yellow exclamation. Device manager shows Microsoft drivers, with names like “WpdMtp”, “WUDFRd”, and “winusb”. Debugging is enabled on the android. Yet, ADB does not detect the device. What could the problem be? Do i still need to install an OEM driver? Some other issue? thx. What device is this? Does Android PC suits apps such as moborobo/wondershare mobilego et al recognize it? Did you enable USB debugging (from developer’s options) on the device before connecting it to the PC? Thanks for your feedback Johny. We got adbdriver.com featured atop the universal ADB drivers install section already. Do have a super-productive week ahead. how can i root ???? MY PHONE IS VODAFONE VERSION 6.0 HOW CAN I GET THE ROOT SOFTWARE FOR IT…..PLX HELP ME! Have you tried the PC software version of Kingroot? Have you tried kingroot apk without success?